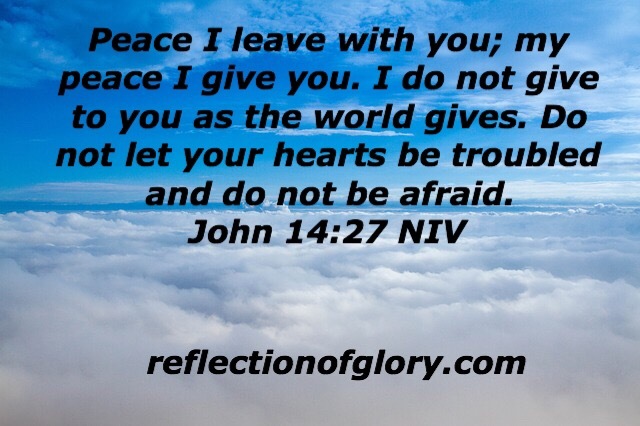 God’s PEACE | Reflection of Glory! There is so much going on in the world. There is so much going on in our country. There is so much going on in our churches, our families, and our lives. Remember the words of Jesus below as we navigate through the days ahead and do not let your hearts be troubled! May the PEACE of God flow within you and flow from you! Jehovah Shalom!